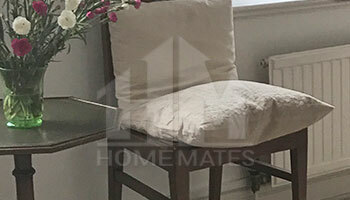 Keep your home neat and clean thanks to the professional home cleaning services provided by HomeMates in Fulham, SW6. Book your cleaner now! Having a housekeeper is not uncommon these days. For some it’s a necessity. But where in Fulham, SW6 can you find a local dependable house cleaning service? Let us tell you where. Use our company. We’ve been in business for so long that we know our customers’ preferences pretty well; we understand and try to meet all their needs. When it comes to house cleaning, we do everything from wiping down cupboards to mopping floors, removing dust and dishwashing. We can put your home in order for three hours or so, saving you stress, time and effort. Our skilled cleaning teams are at your disposal seven days a week. Give us a call. Say goodbye to dust, clutter and filth. Your home will be professionally cleaned from top to bottom. We carry out an individual cleaning plan to make our service more efficient and complied with our clients’ needs. Hiring a maid isn’t something to be ashamed of. It really doesn’t matter whether you clean your home on your own or you use a cleaner. What matters is that the floors are polished, the surfaces dusted and the rooms de-cluttered. Hiring our company will solve all your housekeeping problems now and in the future. You just have to trust us and let us get the job done. You will be surprised by the results, we promise. We currently do housekeeping in Fulham, SW6. This is our main area of service. If you need more information, if you have a question, if there is something you don’t understand, don’t hesitate to give us a call. Our customer support centre is open for you nonstop, so don’t waste time. We have a bunch of great offers and discounts for you, perhaps you want to take advantage of them. You won’t be disappointed.